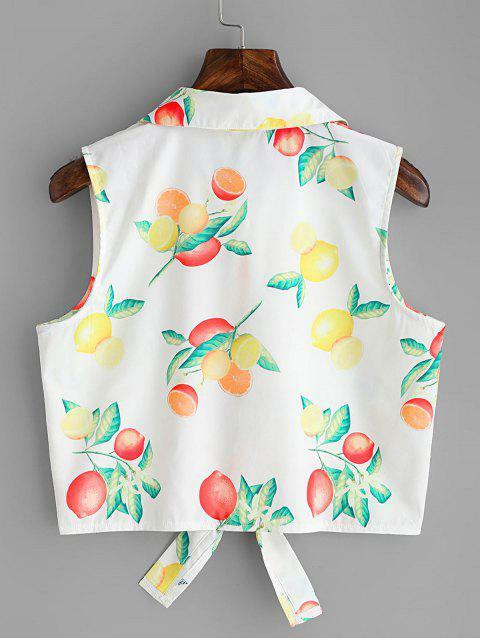 [44% OFF] 2019 Fruit Print Tied Hem Sleeveless Shirt In WHITE | ZAFUL ..
Love it Looks exaclty like the pictures Super cute True to size. 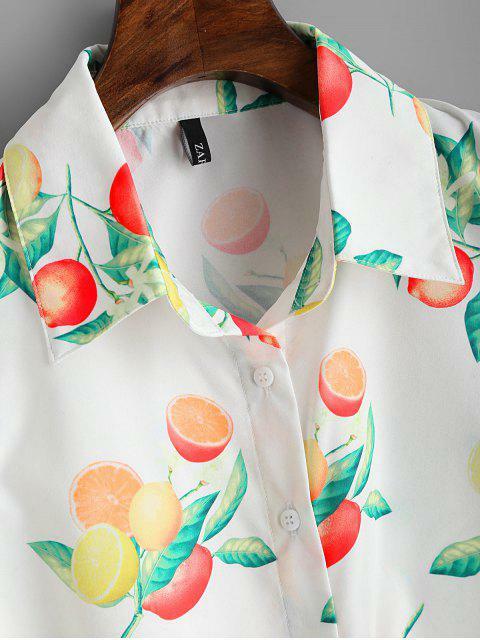 Material is weird but great quality. 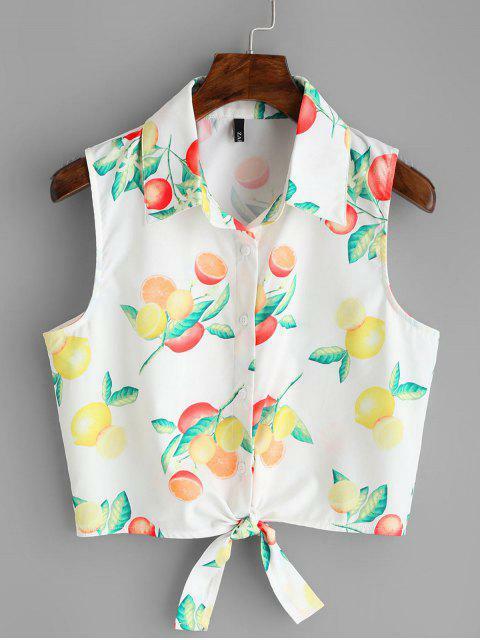 This casual shirt with classic shirt collarline features allover fresh orange and lemon pattern, button front closure and trendy self-tie hemline design, as well as an alluring cropped length, in a sleeveless style.